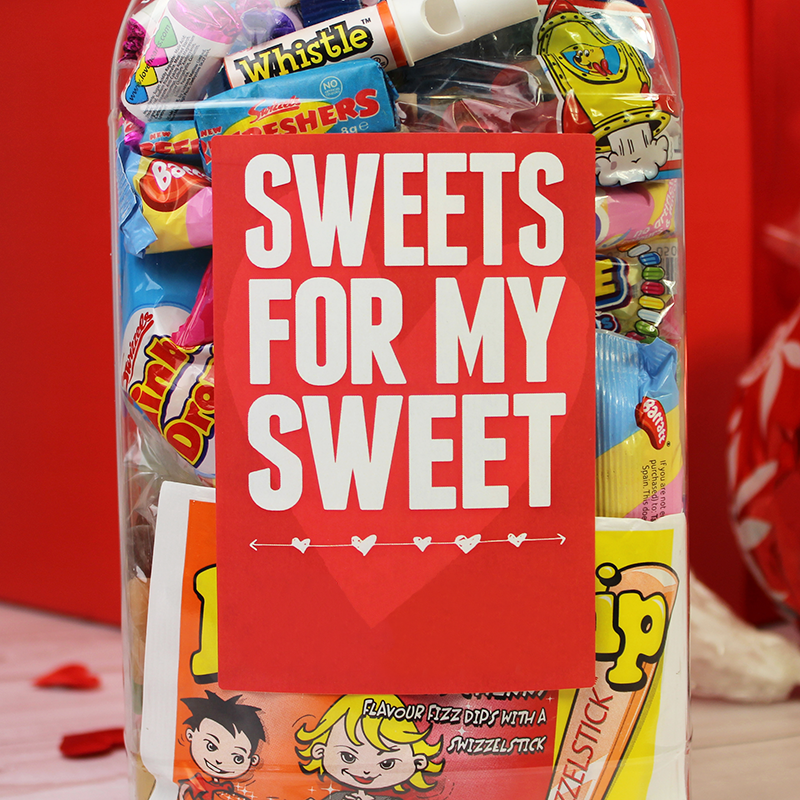 The Deluxe Love You Gift Box measures a whopping 40 x 34 x 34 cm and has some truly stunning gifts inside! 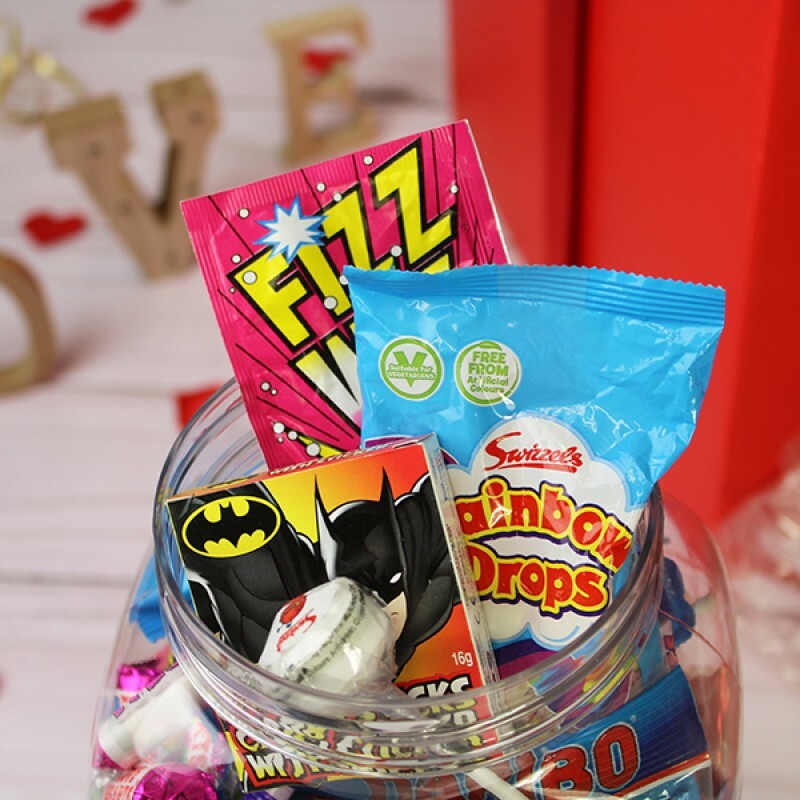 The Box comes with a gorgeous ribbon tied bow and once the lid is a removed a large red, heart shaped balloon will rise out of it. 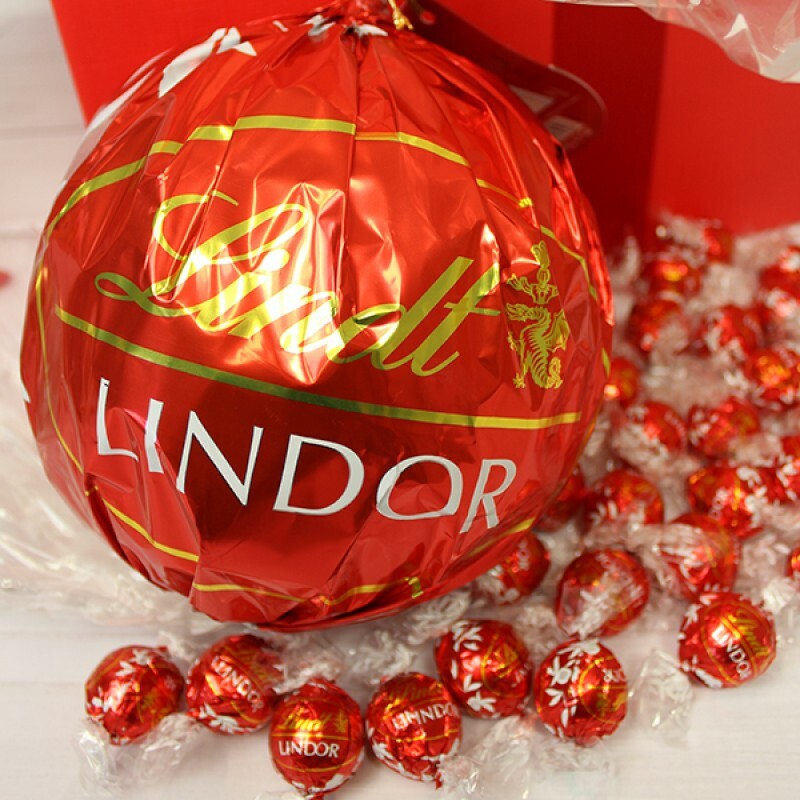 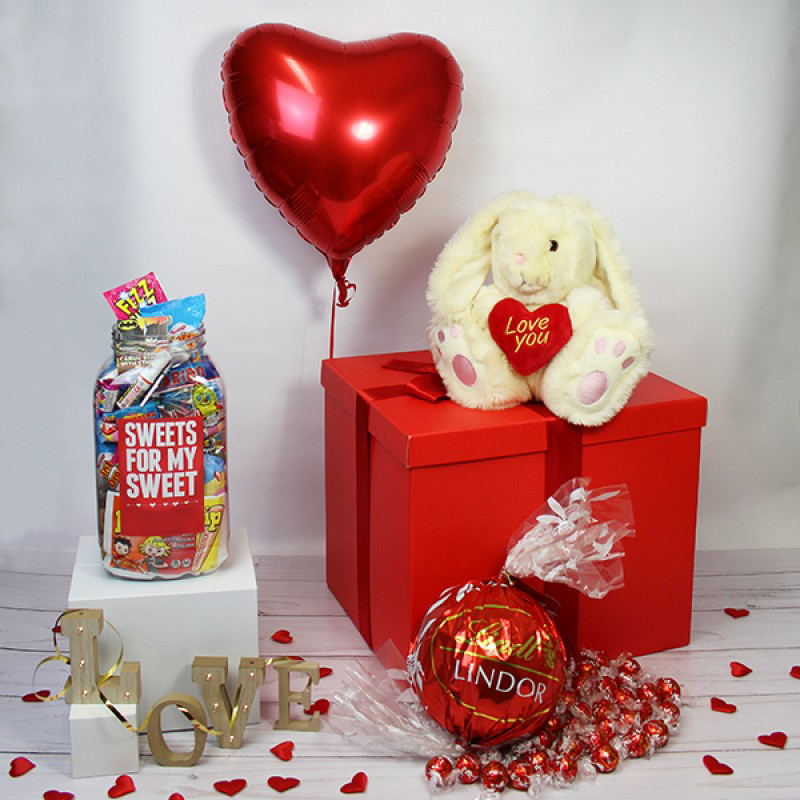 Inside the box there is a large Love you Sweet Jar, A stunning 30cm plush I love you bunny and a large box of lindor fine chocolates.